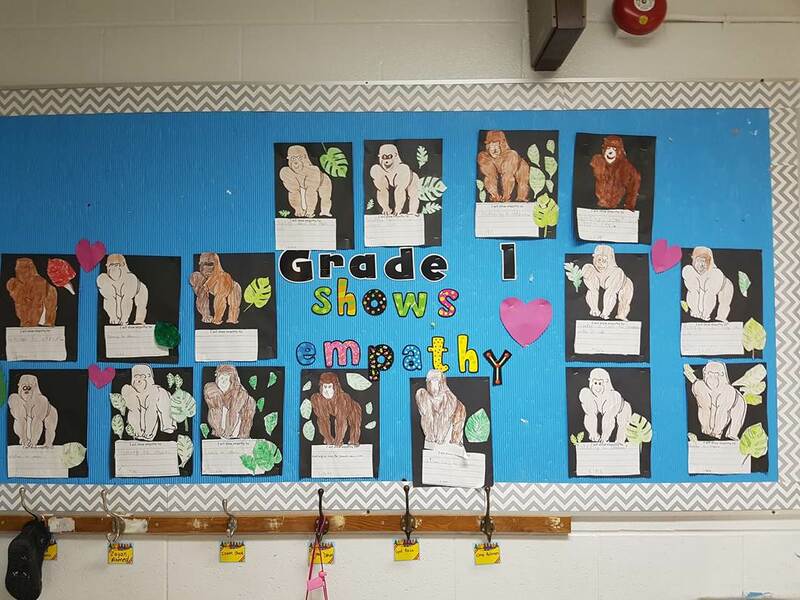 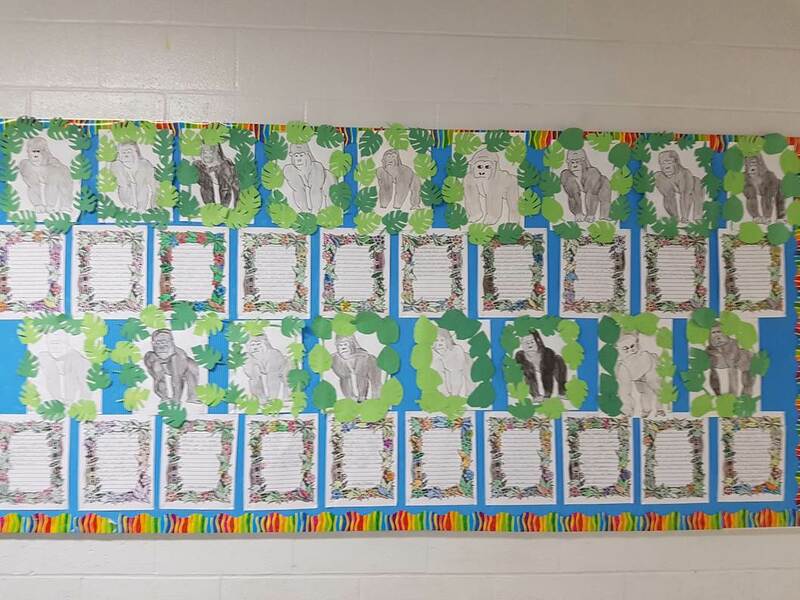 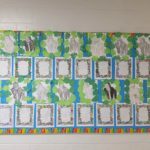 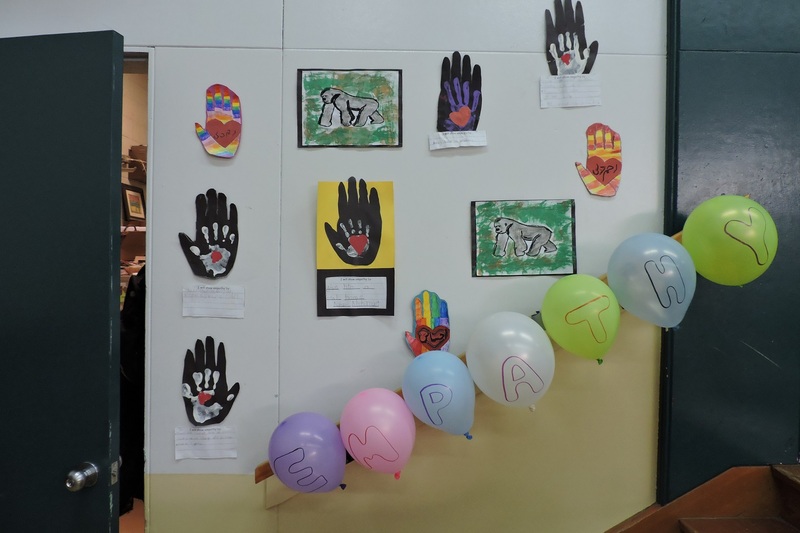 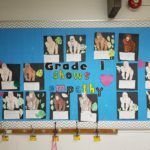 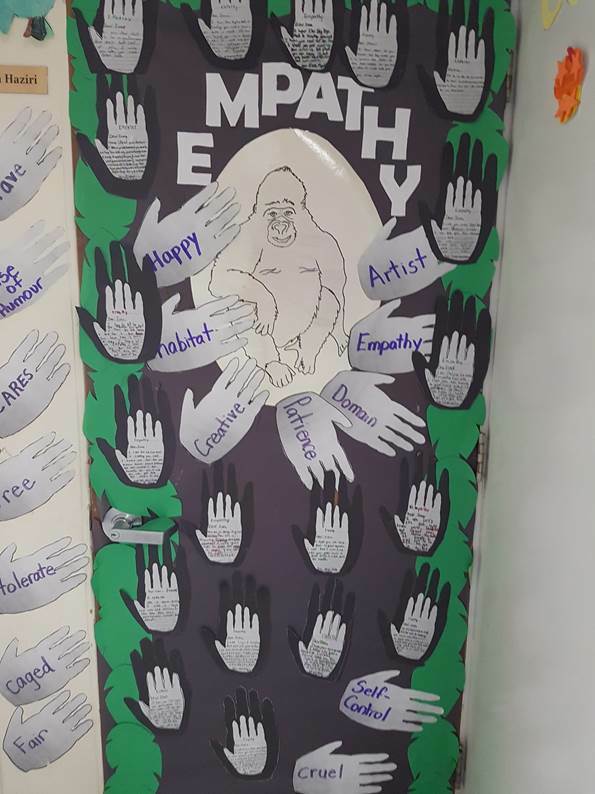 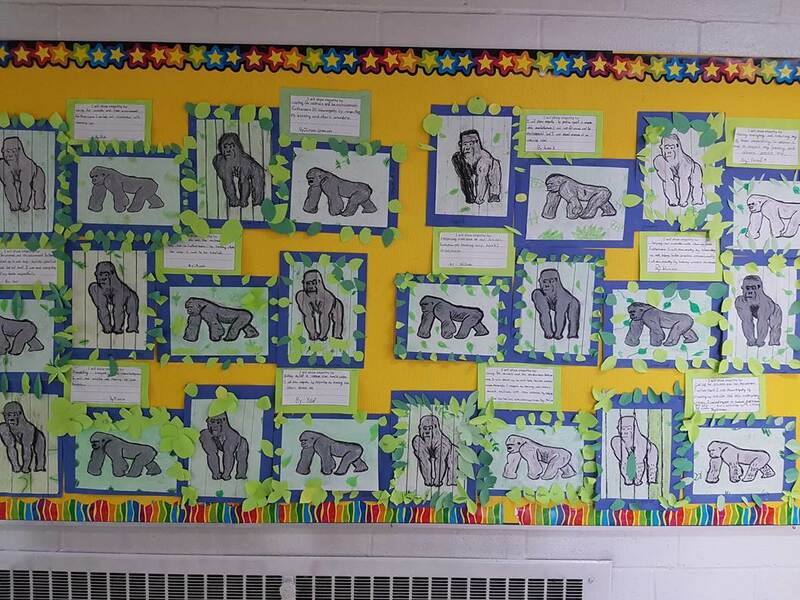 This year for our Empathy Virtue, students read the story of Ivan the Gorilla, who was known as “The Mall Gorilla”, as he was captured in the wild and forced to live in a mall. 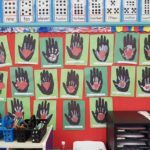 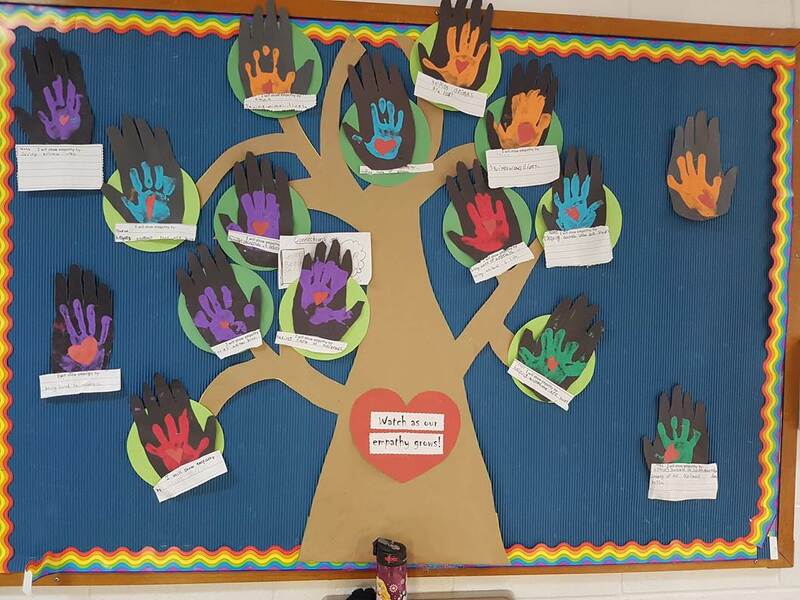 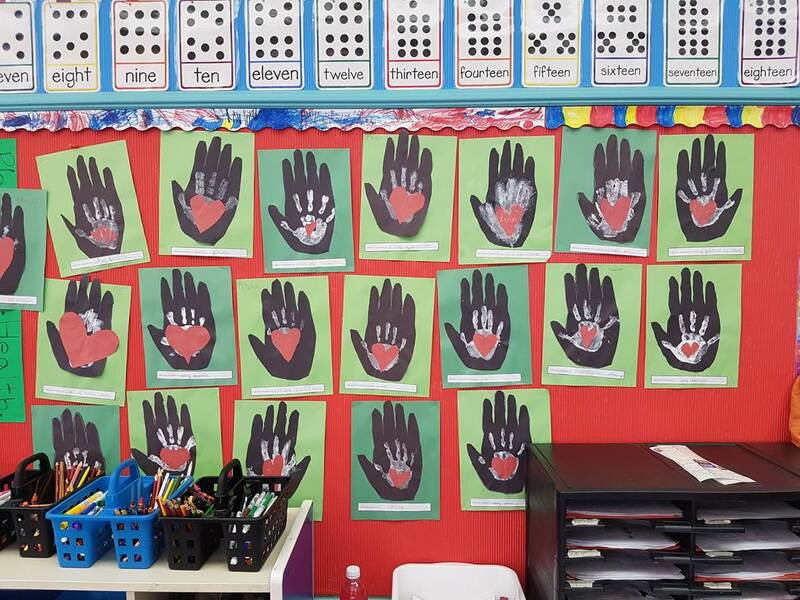 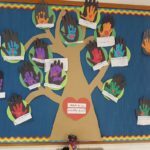 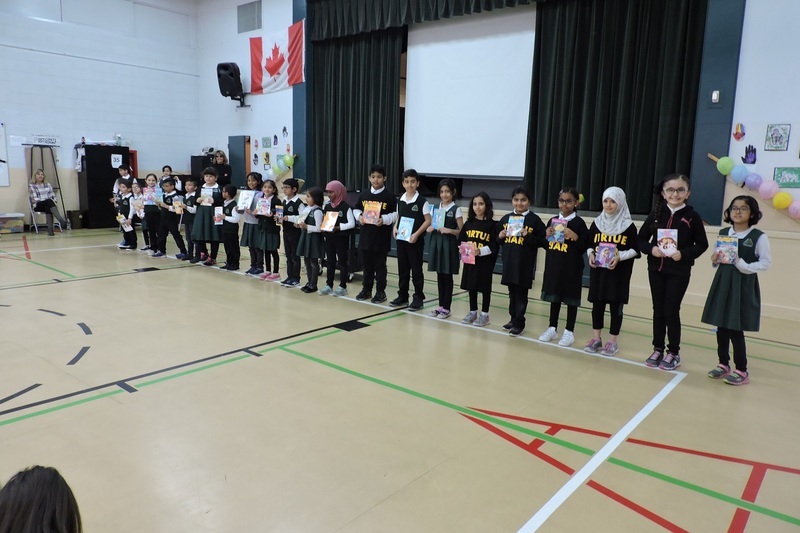 Students used their empathy to imagine what it would be like to be taken from your home and forced to live somewhere that you did not belong. 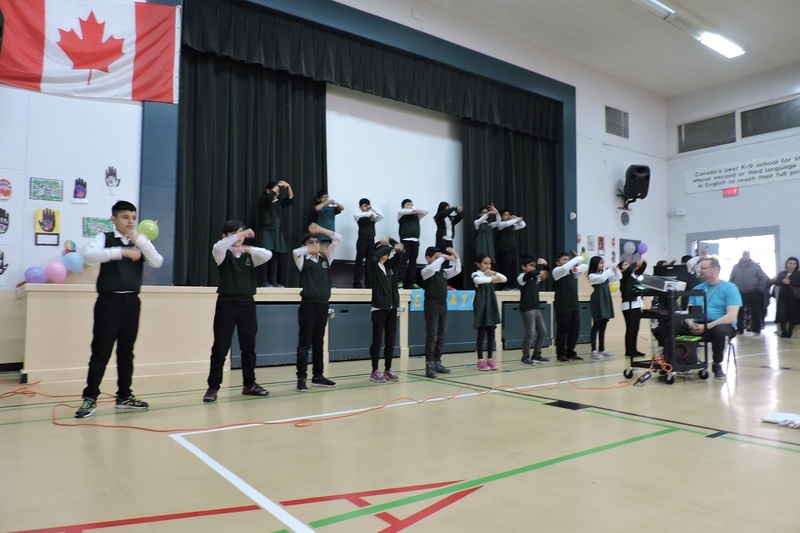 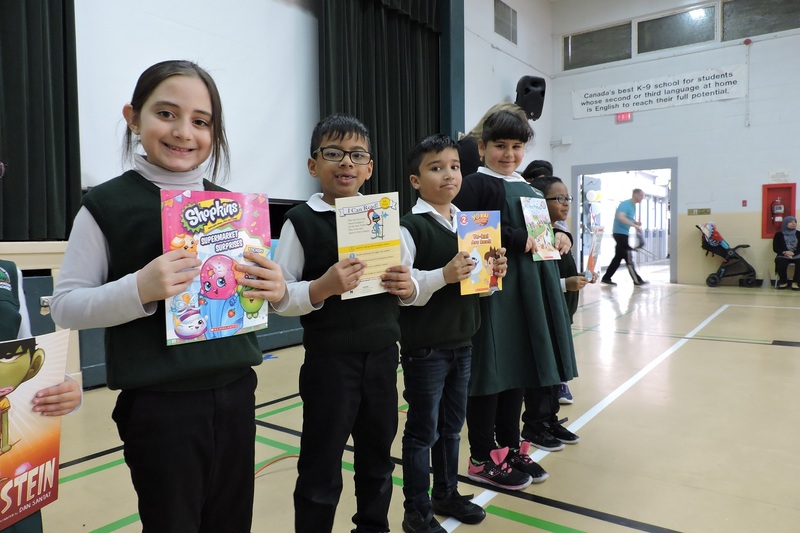 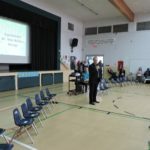 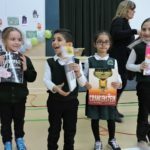 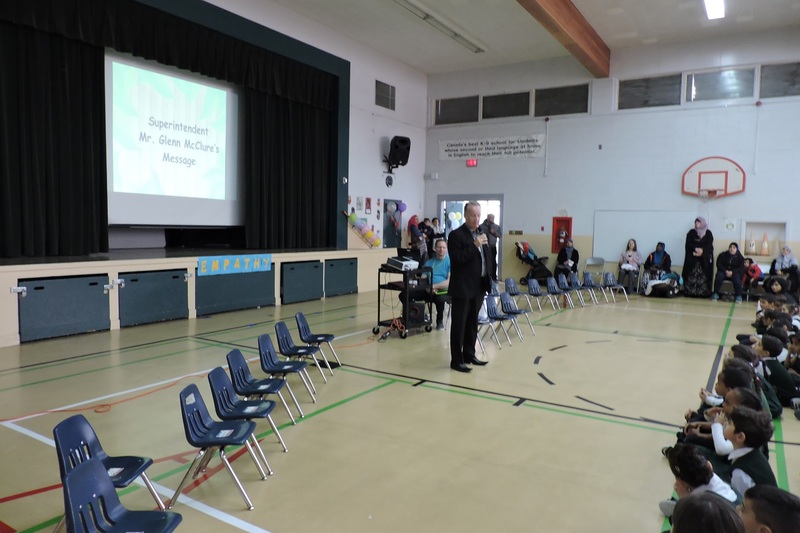 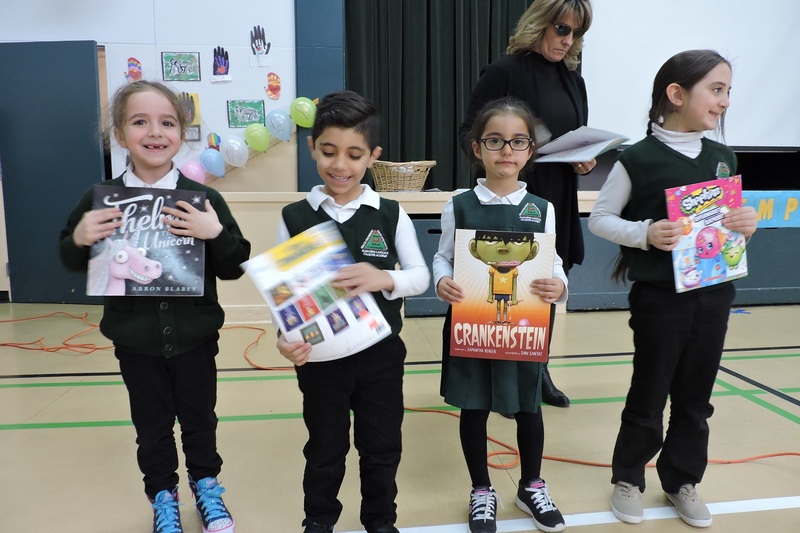 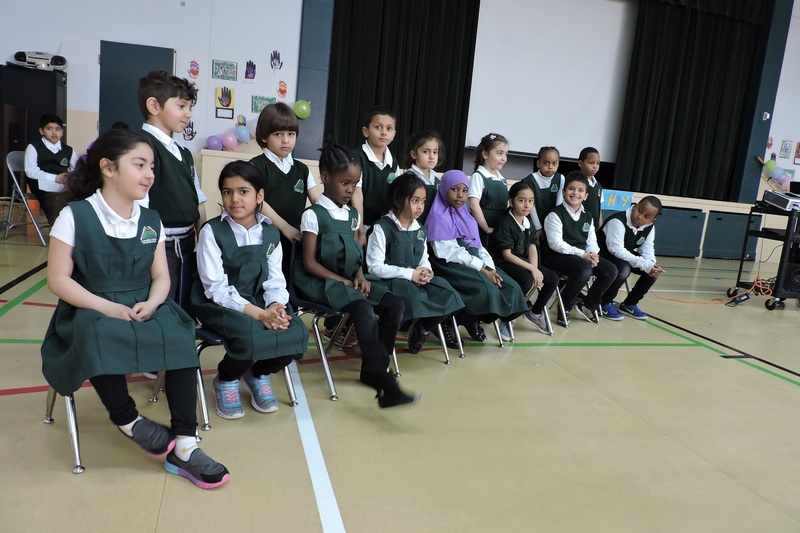 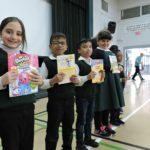 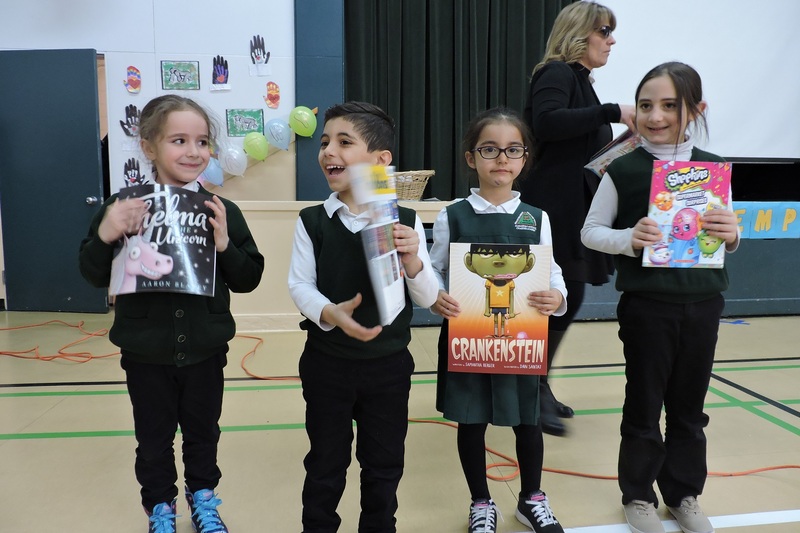 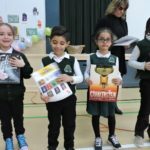 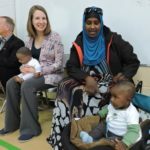 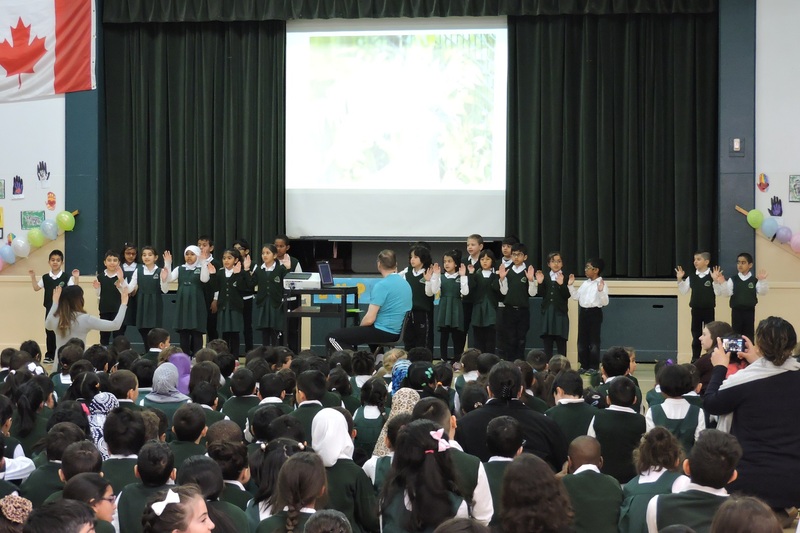 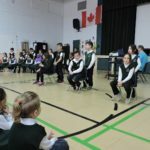 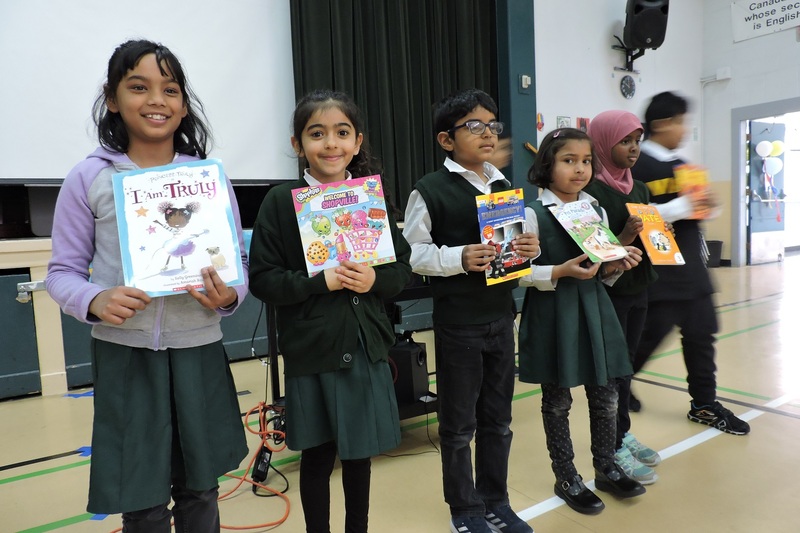 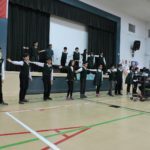 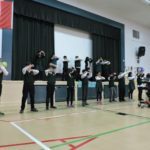 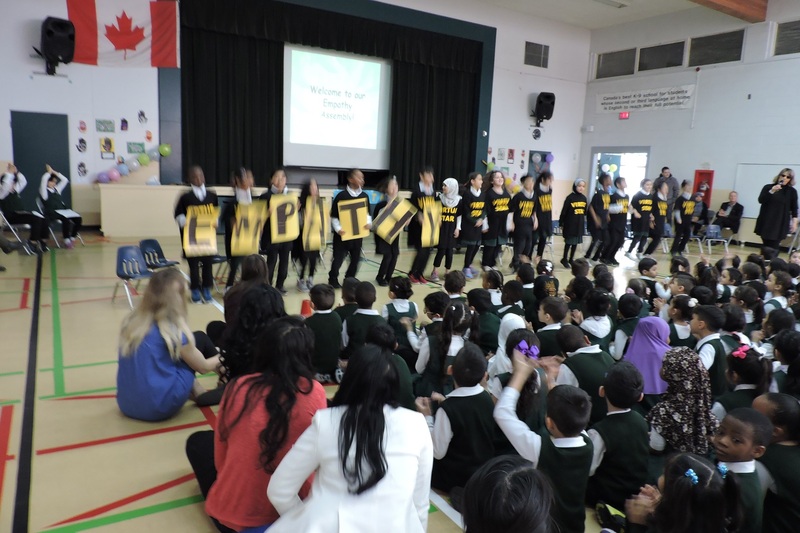 Our learning and practicing of empathy was enhanced at the Empathy Virtue Assembly on Tuesday, April 10th. 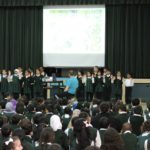 First, Mrs. Haque lead the school in a moment of silence for the victims of the Humboldt accident. 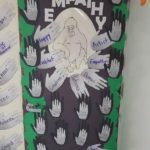 As a school, we would like to extend our sincerest empathy for the loved-ones of the victims and for the survivors of the accident. 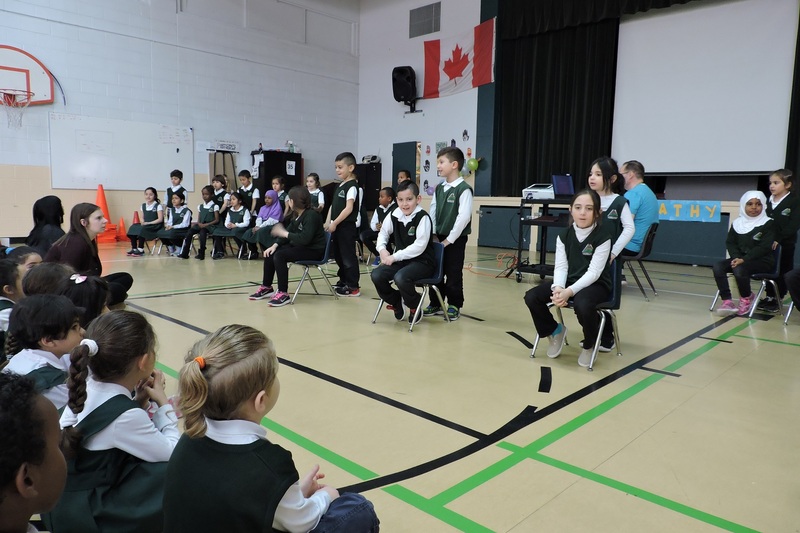 Our thoughts are with you #Humboldtstrong. 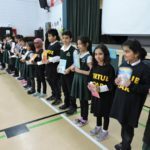 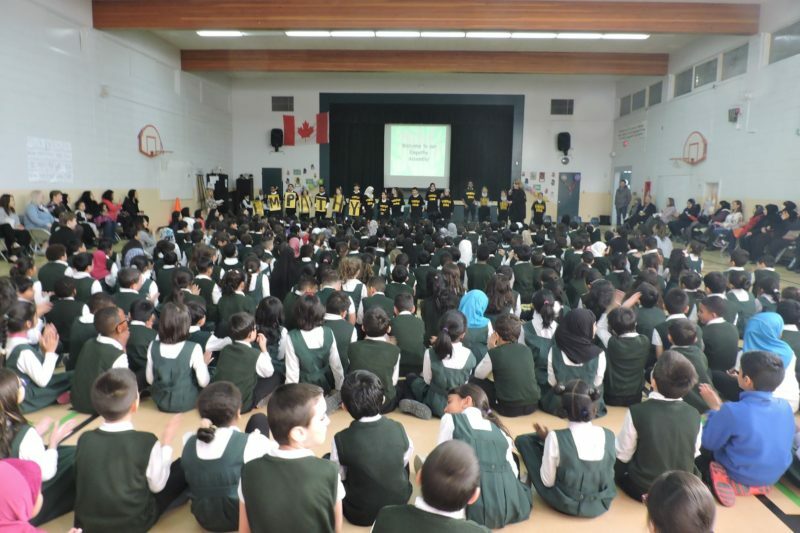 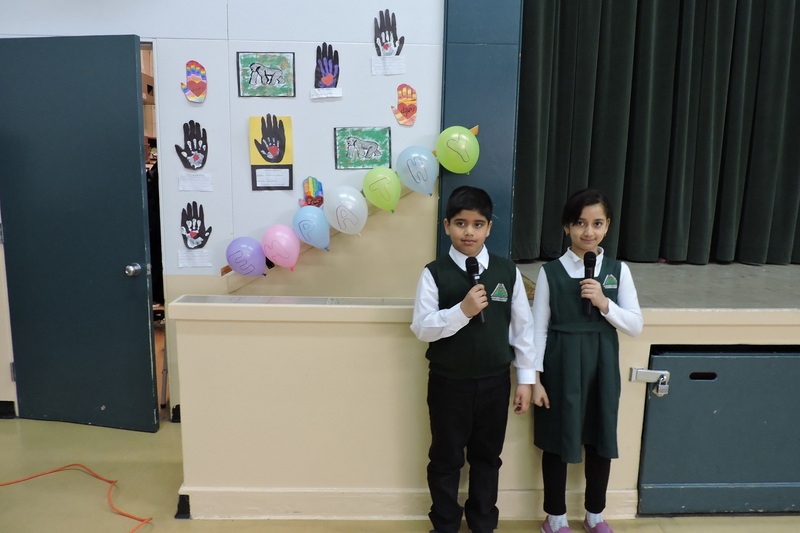 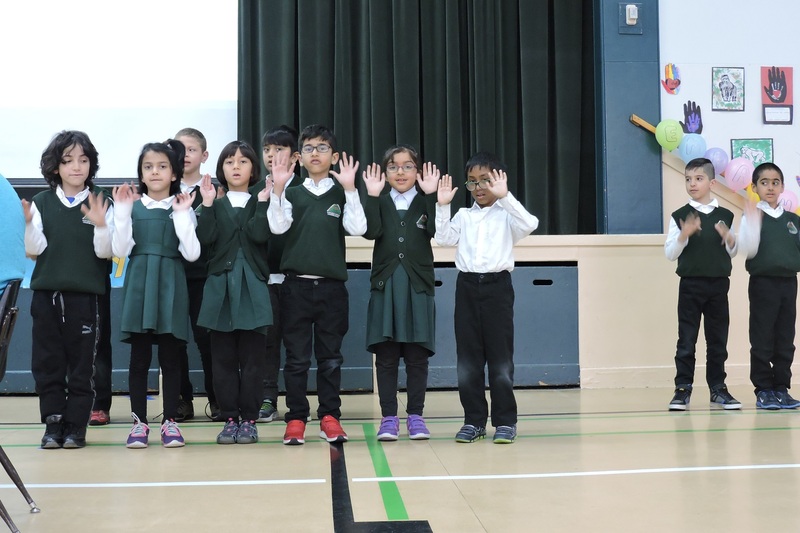 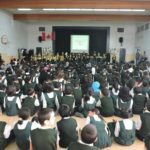 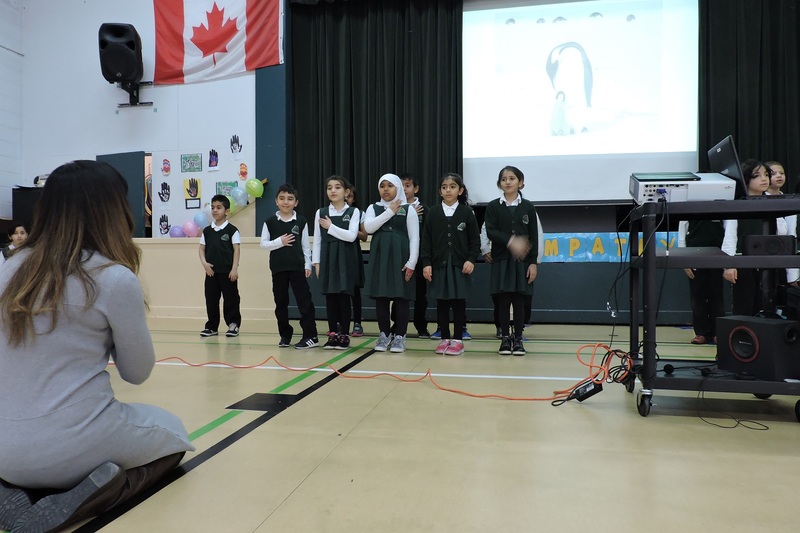 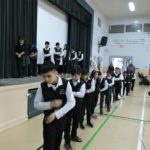 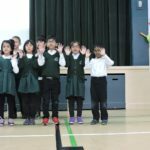 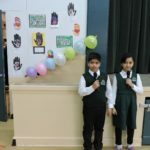 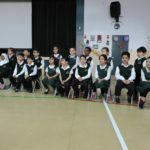 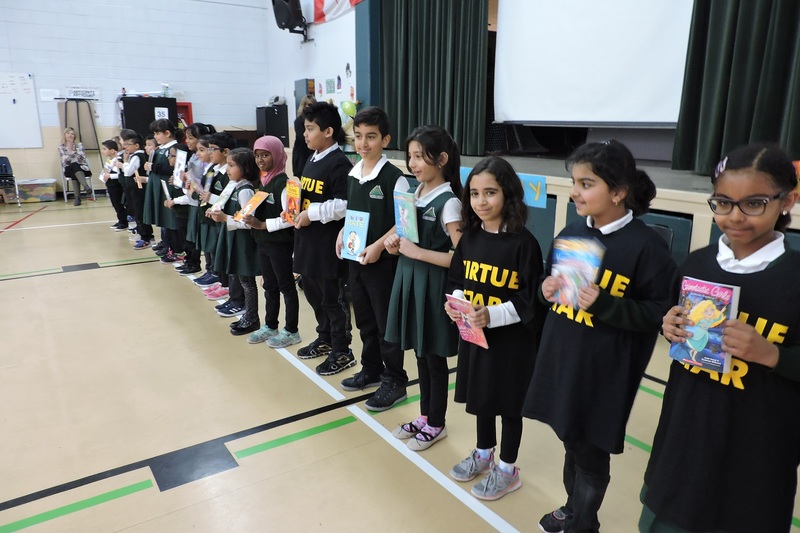 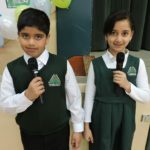 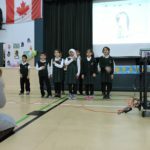 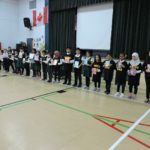 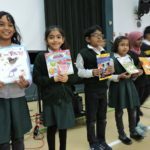 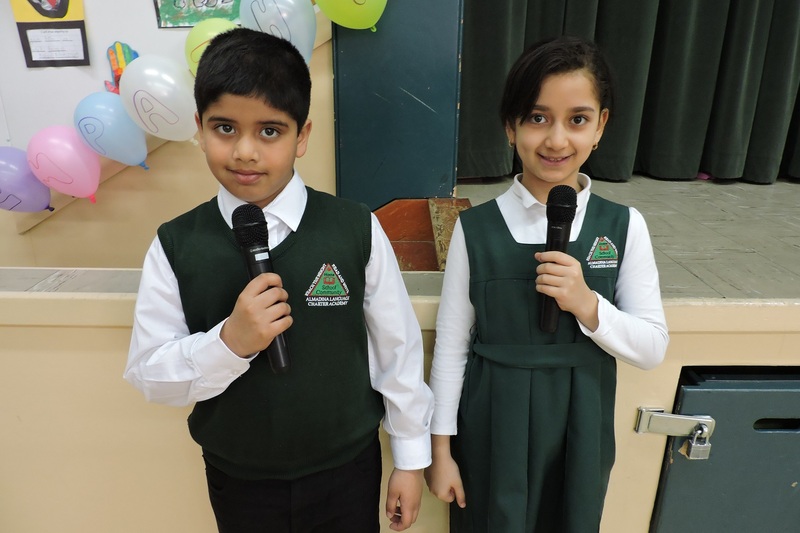 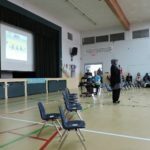 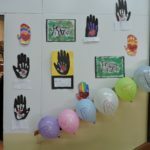 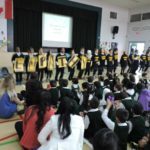 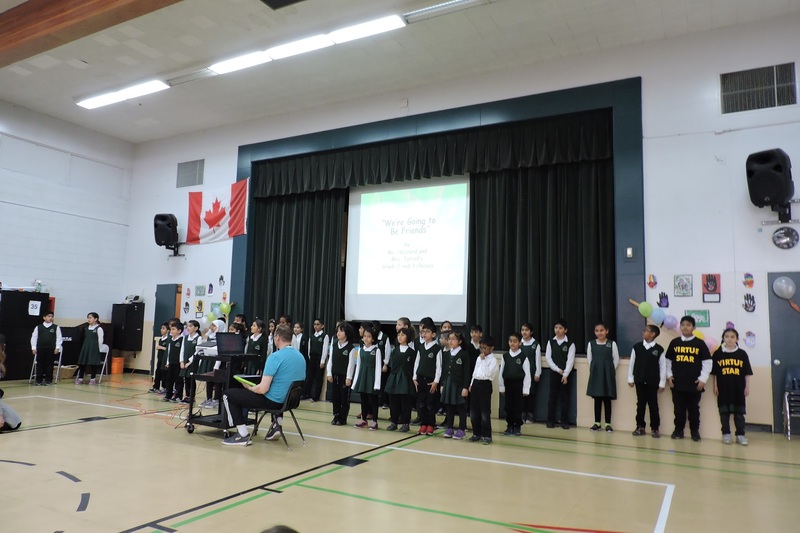 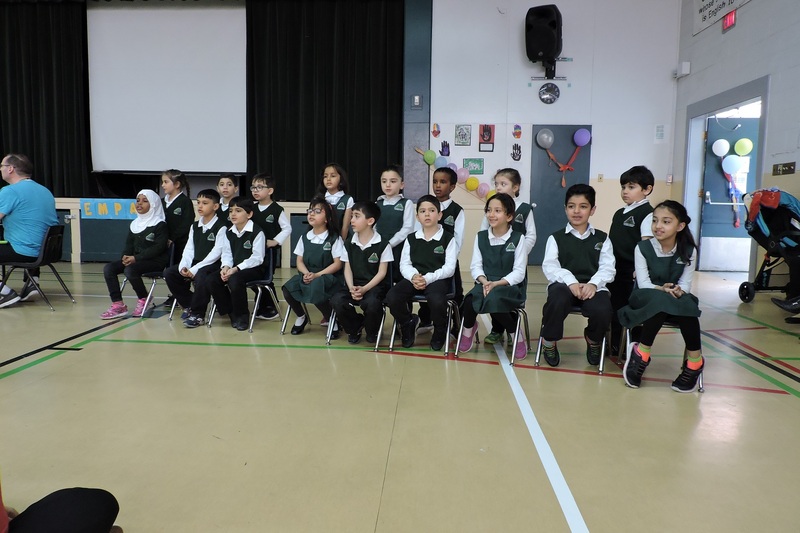 Following the touching tribute, the crowd was wowed by Mrs. Dhanaraj and Ms. Mawji’s ECS and grade one students performance of the song “Walk a Mile.” We were all endeared by Mrs. Mahmood’s Urdu video, showcasing students expressing empathetic messages in Urdu as they contributed to an empathy wall display. 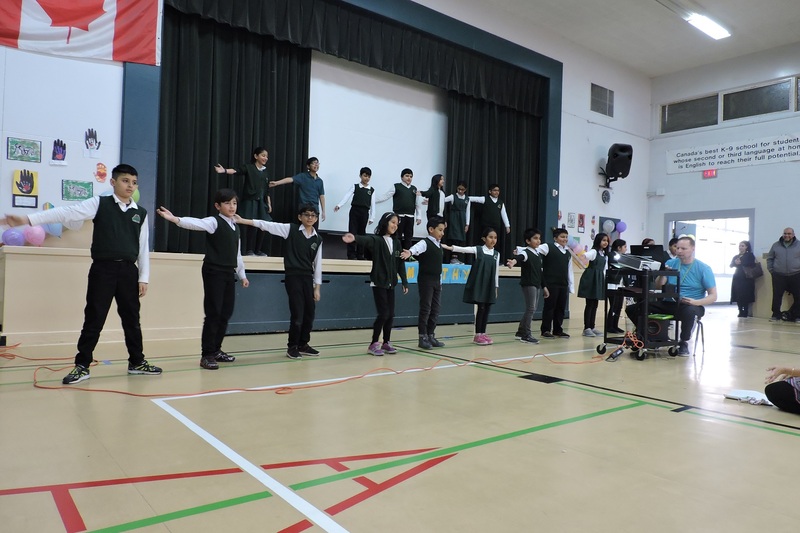 To follow that, the grade 4 Urdu students gave a dynamic performance of an exciting song in Urdu about empathy. 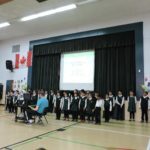 Next, Ms. Hazzard’s class shared their beautiful song, “Rainbow” and then Ms. Hazzard and Mrs. Tyrrell’s classes sang a terrific rendition of “We’re Going to Be Friends”; well done performers! 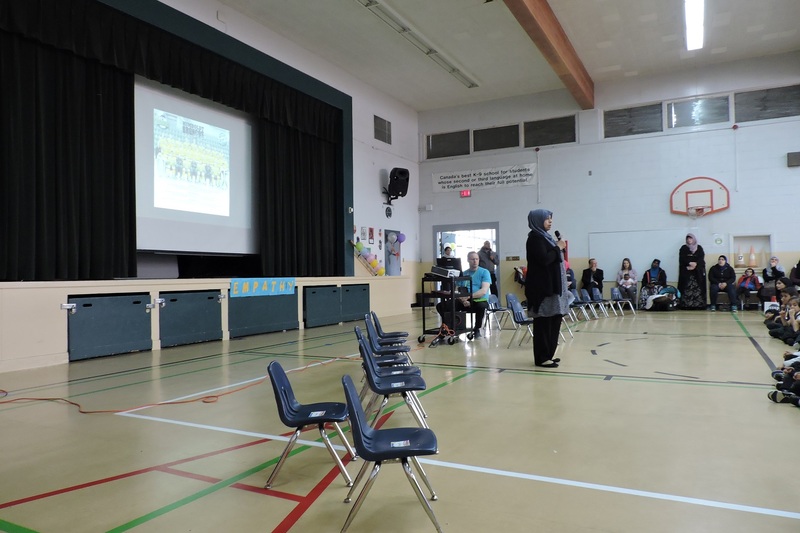 Thank you to all of the staff, students and parents who supported our Empathy assembly! 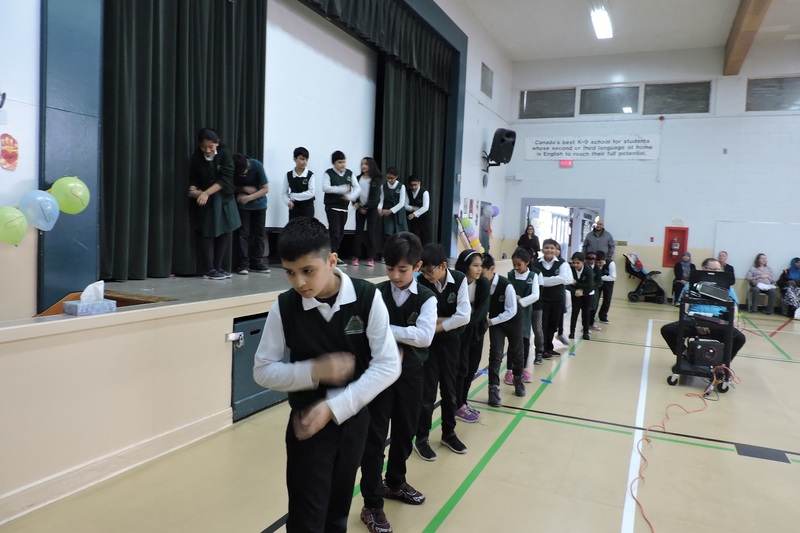 Our next virtue is self-control!